Servicing your car often falls under the ‘I’ll get around to that another time’ category, with your wheels often too crucial on a day-to-day basis to part with. But ignore that warning light on your dash and you may be left with no car at all, with some problems serious enough to take it off the road for good. Considering how complex modern cars can be under the hood, dropping your car in for a service can be a nervous experience, particularly if you don’t take as good care of your ride as you probably should. But regardless of what you drive, having your car regularly and professionally serviced can be the difference between driving away with peace of mind, or driving away in a potential lemon. 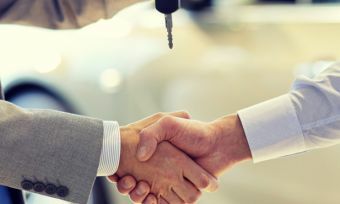 In this article, Canstar Blue explains why it’s important to have your car serviced, how often you’ll need to have it serviced, and what to expect when you hand over the keys. Servicing can be a costly expense, and can leave you without a ride for a few hours – or even days – so why should you take your car in? In simple terms, servicing your car ensures that everything is running as it should be, and that you – and others – are kept safe on the roads. During a service, qualified mechanics will check on crucial areas of your car, including the engine, suspension and braking, as well as other areas and systems that keep your car running smoothly, identifying any issues that could potentially become big problems if left unchecked. 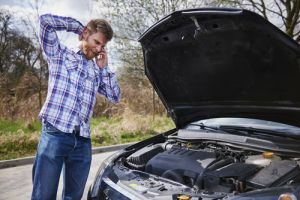 By fixing these problems early on, not only do you potentially save yourself some heartbreak and money down the line, but you get to drive away in a well-oiled machine. So, while it’s important to have your car regularly serviced, which service will your car need the next time you take it in? 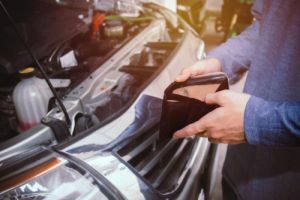 While you may be forgiven for thinking that you’d be getting the same type of service every time you take your car to the garage, there are actually multiple types of services that your car will receive over its lifetime. This may be dependent on what you drive, as well as where you get your car serviced, but below are the types of services you can expect to have, plus what may be included in each type. Manufacturers generally specify maximum time and maximum distance intervals between services, with most sticking to around the six month or 10,000km mark, whichever comes first. However, this is just for an average car, with vehicles under more intense workloads recommended additional interim services. 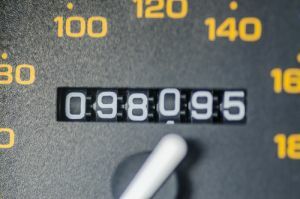 If you drive an older car, it may be worthwhile keeping a closer eye on the odometer and booking in a little earlier, as ol’ reliable may not be living up to its name anymore. However, this will come down to your individual circumstance, as there currently isn’t any guidelines for servicing older models. ‘I don’t drive that much, that means I can put off my service for a little while longer, right?’ Wrong. 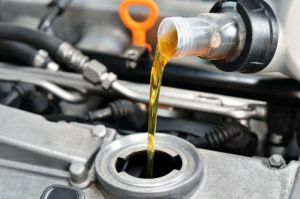 You should still regularly book your car in for a service, regardless of how often you’re putting the pedal to the metal, as the engine will still need to be inspected – and the fluids will need changing. Additionally, you may even void your warranty if you don’t book your car in for a regular service, so it’s important to not only read the fine print in your owner manual, but ensure that you’re sticking to the recommended servicing schedule. If you’re not sure when you should be next booking your car in, check your log book, with most dealerships and mechanics giving recommendations for how regularly your car should be serviced. There is no shortage of options when it comes to finding somewhere to take your car in for a service, with big car servicing chains and small local mechanic shops all offering competitive prices and perks to entice you to drive in. 60% of motorists surveyed always use the same car servicing chain, according to Canstar Blue research, although where you drop your car off will ultimately come down to your personal preferences, as well as factors such as price, convenience and past experiences. Do I need to visit a dealership for my service? While the car dealerships may be able to provide a specialised service for your vehicle, it’s a common misconception that you have to return to the same dealership for every service. According to the ACCC, any qualified mechanic is able to carry out logbook vehicle servicing – so long as they meet the manufacturer’s specification – without voiding the new car warranty. While some dealerships may strongly encourage you only use their locations for your servicing, drivers are under no obligations to stick with the same dealership or mechanic. 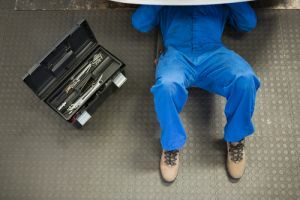 If you’re looking for more serious repairs to be done however, you may need to book into a certified dealership, as smaller mechanic shops may not have the specialised tools or knowledge to sort out the gremlins under the hood. Despite this, the Australian government recently released plans to introduce a mandatory information-sharing scheme between international automakers and independent Australian repair and service businesses, allowing for cheaper services for motorists, and an even playing field for businesses. Aussie drivers are spending close to $400 on their car services, according to Canstar Blue’s research, meaning it can make a dent in your savings if you’re not careful. While the price will depend on where you take your car – as well as whether your set of wheels need a minor or major service – the price can skyrocket if the mechanics find something wrong with your car. To avoid a price scare, it’s best to look into all your options before you book a service, as well as ensure that you’re properly taking care of your car when you’re behind the wheel. Is getting my car serviced worth it? While it may be inconvenient to drop your car off for the day to get serviced, being without a car for a longer period of time because you didn’t look after it properly is far worse. Regular maintenance and servicing is an easy way to ensure that your car sticks around for a long time, meaning that getting your car serviced is a necessary expense to stay on the road.